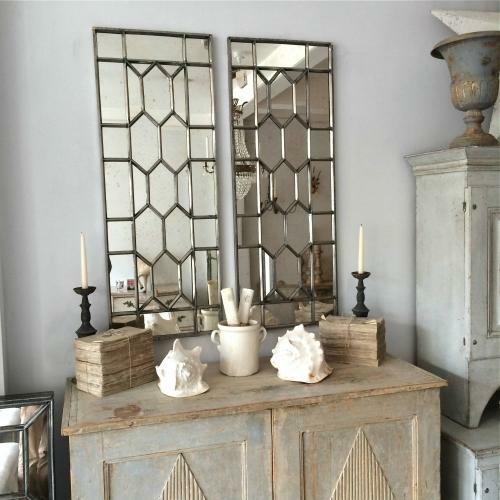 A beautidul pair of reclaimed Victorian cast iron windows hand polished and glazed with 33 individual antiqued mirror panels. These architectural mirrors will make a statement in any room. This mirror is easily flush wall mounted using the specialist fixings supplied.